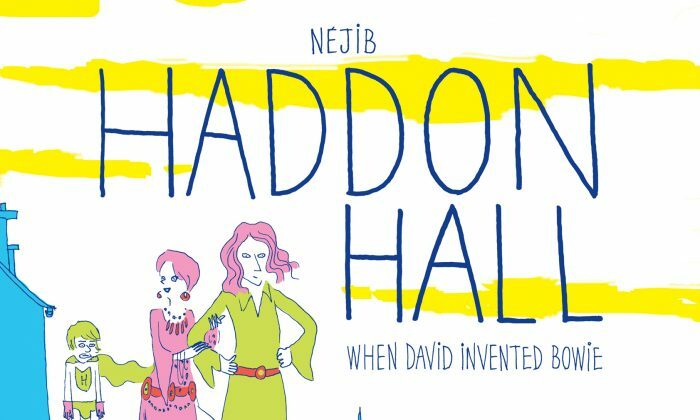 “Haddon Hall, When David Invented Bowie”, is a charming semi-fictional account of the late rock legend’s formative years. 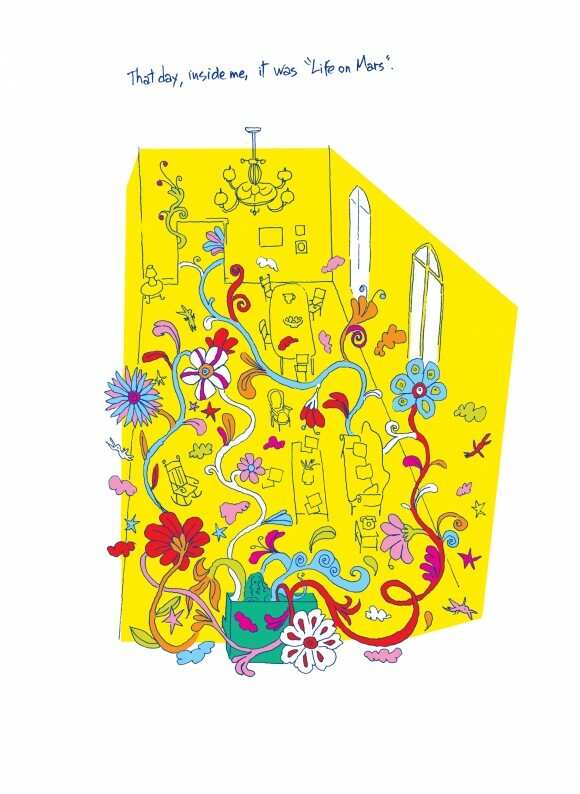 It is a graphic novel, a book of evocative swirling cartoons, in which Tunisian-born artist Néjib draws inspiration from the graphic designers of the late 1960s and 1970s to tell his tale. The novel explores Bowie’s time in Haddon Hall, a rambling south London Victorian house that has now been demolished. In the late 1960s Bowie moved in with his then girlfriend and future wife Angie. The book explains how they adored the house’s “discreet decrepitude”, the property becoming the base for the creative experimentation that resulted in “The Man who Sold the World” album and later the ideas for the Ziggy character. The novel is written from the perspective of the house whose eccentric charms nurtured the creative processes and bore witness to the comings and goings of a range of key collaborators and influences including Marc Bolan, Tony Visconti and Syd Barrett. Epoch Times caught up with Paris-based Néjib, who explained some of the inspiration for the book that was originally published in French in 2012, and has just recently been translated and published in English. Néjib was a teenager when he first discovered Bowie. His brother bought the “Ziggy Stardust” album and from that day he became a fan. As he grew up he became more of an admirer than a fan. “I mean a fan has no distance, he is blinded by his fetishism. Bowie for me is a great artist, but some of his work can be criticised,” he said. So much has been written about the years of Bowie’s various successful incarnations as a superstar, yet less so about these early years. For Néjib those formative times are of most interest. By this he means Bowie used masks, identities and theatre to express what he wanted to express about life, death and so on. Thus, Néjib weaves fact and fiction to tell his story. For example, the moving narrative surrounding Bowie’s concern for his mentally ill brother Terry, who he rescues from an oppressive psychiatric hospital to stay with him at Haddon Hall, is true. As is his friendship with kindred spirit Marc Bolan, who soon went on to stardom himself with his band T.Rex. On the other hand a trip with John Lennon to the docklands is fictional. Here a disillusioned Lennon discusses high art, meeting with “true artists” Stockhausen and Nabokov, and how he has wasted his genius on a lower form of art. But then “low art is for the proles” like the two of them, Lennon muses. In one story in the book, Bowie goes to Malta to pick up an award then develops a long-term fear of flying thereafter due to the stormy flight. Néjib says that Bowie really did develop this fear on a bad flight, but we don’t know which one. He also actually went to Malta to receive a trophy for the song “Space Oddity”. “It’s a good illustration of how I mix the stories and the facts to make fiction,” explained Néjib. One of the revelations in the novel is the impact of Stanley Kubrick’s film “A Clockwork Orange”, a portrayal of stylish and violent youth sub-culture in a dystopian future. Viewing the film is something of a lightbulb moment for Bowie leading to a drastic stylistic makeover. “The film was an important inspiration for the first style of Ziggy Stardust. Many photographs show Bowie and the Spiders (his backing band) dressed like the guys in the movie,” Néjib said, stressing how much this dark vision of society made an impression on Bowie: “It’s the moment when Bowie gave up the hippy vision of the world for a more pessimistic one,” he said. “Haddon Hall” is a stunningly illustrated volume that combines humour, pathos and fantasy in the story telling. Néjib extols the virtues of the cartoon medium. For him it is a unique way to recreate a period without the expensiveness of a film. He believes it is a great medium because, unlike cinema, it has very few constraints in building a visual world. Another quality of the cartoon for Néjib is that “the drawing is a distance, a point of view in its self”. Néjib admires the great illustrators of the late 1960s and early 1970s such as: Saul Steinberg, Ronald Searle, William Steig and the artists of Push Pin Studios. The film “Yellow Submarine” had a great influence too. Haddon Hall is published by SelfMadeHero, priced £14.99.